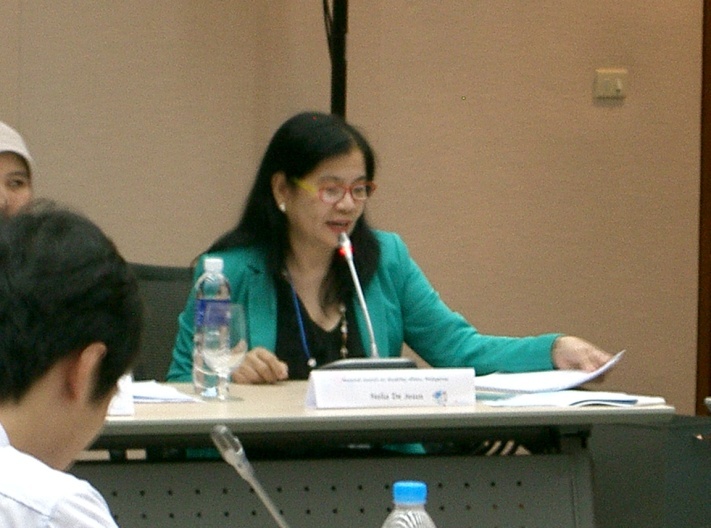 Ms. Nelia R. de Jesus joins AP women panelists passionate on “ inclusive information”. With IT as an empowering tool, the Philippines-Brunei Darussalam- Indonesia tandem shared respective trends, issues and best practices to “MAKE THE RIGHT REAL” for persons with disabilities. Panelists above left are: Ms. Huraini Hurairah, Ministry of Education-Brunei Darussalam, Ms. Ema Salwa, Ministry of Social Welfare-Indonesia and Ms. Nelia R. de Jesus (in green blazer) , National Council on Disability Affairs-Philippines. 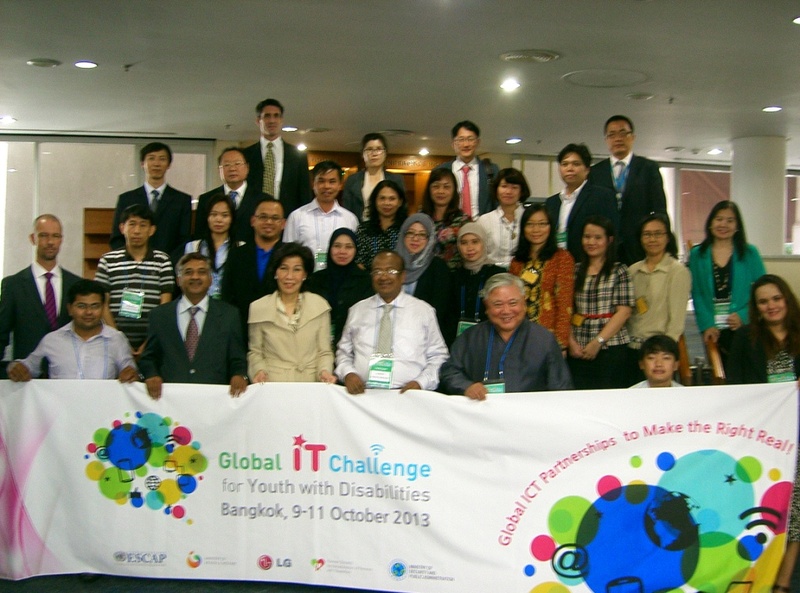 “GITC- ÍT Policy Exchange Seminar” marks agreements with a posterity shot at the United Nations Conference Centre, Bangkok, Thailand, October 10, 2013. Joined by 12 countries regionwide, this was launched by the UN-Economic and Social Commission for Asia and the Pacific (ESCAP), and the Korean Society for Rehabilitation of Persons with Disabilities (KSRD).